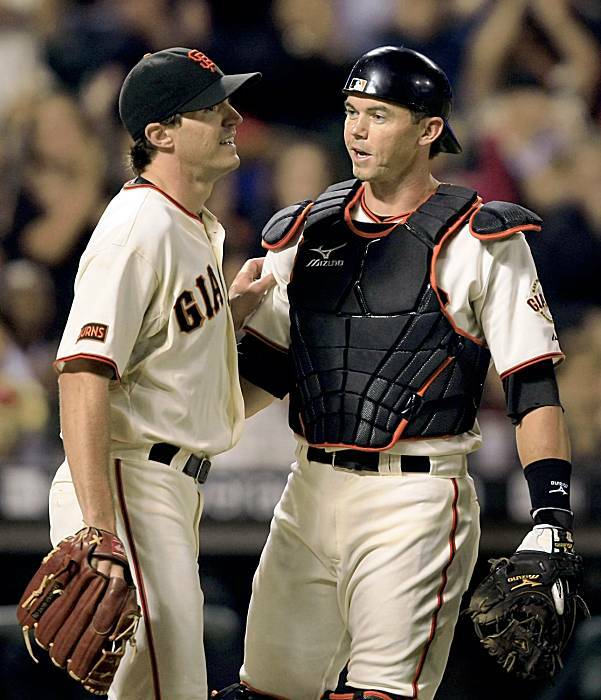 All Giants fans have seen this season why having a solid, reliable backup catcher is so important for any team. When Buster Posey went down, the Giants had to rely on Eli Whiteside. Whiteside knew the pitching staff well, but showed some serious flaws in other areas of his game. He wasn’t physically fit enough to catch everyday. His throwing ability and therefore his ability to control the running game, was horrible, and he can’t hit to save his life. He has the occasional home run every few months, but that’s it. Having him in the 8th spot of the lineup is almost too high for him, which is pretty disgraceful. For a backup catcher, do you need them to have a strong, fast throw to 2nd base? Not necessarily. However, many teams started to see our pitchers’ and catchers’ weaknesses in controlling the run game, so they took advantage of it. 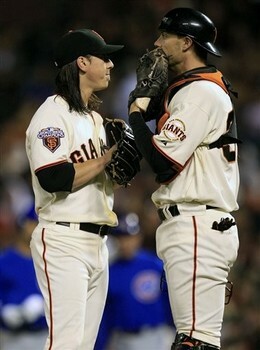 For example, when the Giants played the Astros on August 25th, Whiteside started and caught for Vogelsong. Whiteside was unable to throw out 4 baserunners in 6 innings. Thankfully, only one of those baserunners was able to score because of the mistake, but regardless, this should never happen. To allow 4 baserunners to steal second easily is unacceptable even if you are just the backup catcher. Whiteside’s offensive contributions are nothing to be proud of either. This season he is hitting .212 with 4 home runs, 17 RBI’s, and a .282 OBP in 78 games. He’s hitting .167 this September. Whiteside was supposed to be our main catcher when Posey went down. I understand that Whiteside is normally a backup catcher, so when thrust into a starting role, his game might not be suitable for that. However, even as a backup catcher, his numbers are still insufficient. David Ross, the backup catcher for the Atlanta Braves, doesn’t play a lot of games because he’s backing up NL All-Star Brian McCann. However, this year, he still has managed to hit a .255 average with 6 home runs, 23 RBI’s, and a .323 OBP and has played in only 50 games. Whiteside’s starter numbers are not even as good as a backup catcher who hasn’t played in as many games this season. Because of Whiteside’s ineffectiveness in any part of the game, Chris Stewart has to be the backup catcher next year. He has his fair share of offensive troubles, but he knows the pitching staff as well or better and has a much more accurate throwing arm. 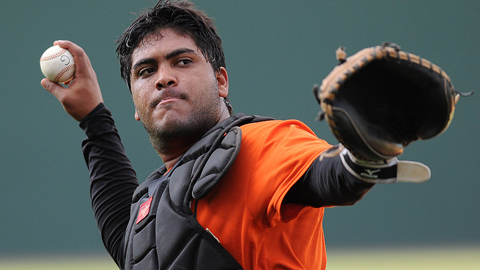 He has become Lincecum’s primary catcher this season, because Whiteside has never been able to effectively catch him. Whiteside has played in 20 more games this season than Stewart and has allowed 21 more stolen bases. When Chris Stewart catches, the pitching staff has a collective 2.58 ERA. When Eli Whiteside catches, the pitching staff has a collective 3.36 ERA. Chris Stewart not only has a faster, more accurate throw, but he handles this pitching staff better, especially the ace of the staff, Tim Lincecum. Hector Sanchez has been the 3rd catcher for the Giants for parts of this season, but he doesn’t have enough experience to be the backup catcher yet. If he played a full season in AAA this upcoming season, then he could compete to be the backup catcher in the 2013 season. If for some reason the Giants chose to play Posey more at first base and not have him catch anymore because of how serious his injury was, then he could added to the roster as the backup catcher behind Chris Stewart in the 2012 season. With some Whiteside injuries, Stewart had begun to start the bulk of the games earlier in the season. When Whiteside came back, he continued to start the bulk of the games because he was playing much better than Whiteside on offense and defense. Stewart was more physically able to be an everyday catcher, and handled the pitching staff beautifully. If anything were to happen to Buster Posey next season, I would trust that Chris Stewart could handle his newfound starting role very well. Chris Stewart needs to replace Eli Whiteside next year as the backup catcher. ← Go Visit Brandon the Baby Giraffe!